Juniors Baby Bathtub | Orange | Made of durable plastic with smooth edges. Your kid will enjoy bathing in this adorable bathtub as you delight in the sight. The smooth edges and lightweight portable design will ease all your woes where bathing your baby is concerned. 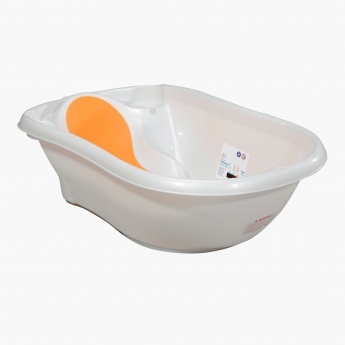 Feature 2 : Spacious design to keep baby comfortable while bathing. Feature 1 : Made of durable plastic with smooth edges.